This is a color variation on a print we had screened previously for Mr. Cope. It is a very difficult print due to the tremendous amount of detail and the hand silk screening process. 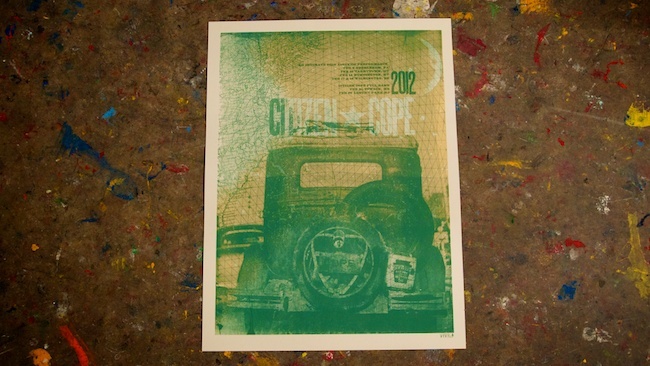 It is a 2-color print screened on cream 19"X25" French Paper cover stock. Cope is comin to Nashville soon I hope I get to go. I think hes got a really unique sound and a great groove. Great post keep up the hard work. Check these out IStillGotMyGuitar.